House Resolution 2121, currently before the US Senate, creates a positive economic impact on Illinois' mortgage industry, removing barriers to employment for experienced loan originators as they work to fulfill requisite SAFE ACT education and testing, said Bryan A. Schneider, Illinois Department of Financial and Professional Regulation Secretary. 1. 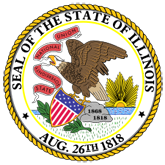 IL Mortgage Industry Benefits from SAFE Mortgage Licensing Act Changes (16-0549-IDFPR_Sec._Schneider_Statement.pdf).